The Christian Women's Fellowship (CWF, our ladies’ benevolence group) of Marple Christian Church and our crafters invite our community to come enjoy a Saturday of fun and shopping for creatively home-made, hand-made, hand-decorated and/or hand-painted crafts! 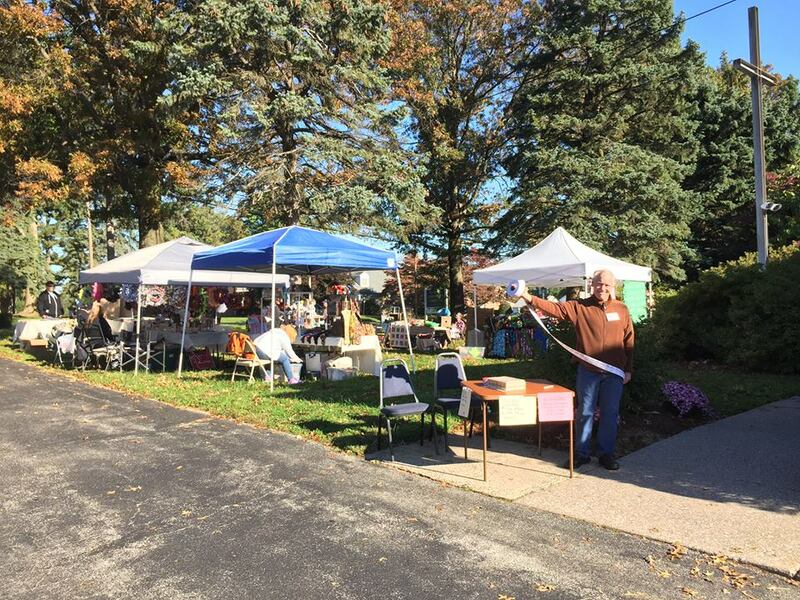 The recent Craft Fair took place on October 20, 2018 from 9:00 a.m. to 4:00 p.m.
For more information, leave a message at the church phone: 610-356-6186. Crafters on church grounds in 2017. Most crafters were inside. Some crafters will be inside our building; others will be outside on the church grounds. Local musician, Jay Gullo, will perform mid-day with voice, guitar, harmonica, and native flute. While you're in the neighborhood, the historic Thomas Massey House next door will host their Harvest Day Festival. They will demonstrate colonial crafts and activities from 10:00 until 4:00. Click on a picture for more information about a crafter.